CH Robinson has launched a rail freight service between China and Europe, connecting eight origin terminals in China with eight European cities. 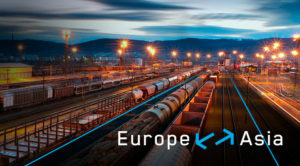 Freight trains will tour between the Zhengzhou, Zushou, Wuhan, Yiwu, Xiamen, Shenzen, Guangzhou and Chongqing terminals in China, connecting with the European terminals of Melaszewicze, Hamburg, Duisburg, Milan, Tilburg, Lyon and Paris in Europe, and Barking in the UK. Each freight train tour requires 18-20 days to complete. The rail service builds on CH Robinson’s air and ocean offering and provides customers with more flexibility and choice. “It is for freight that requires faster transit times than ocean, at twice the speed, with substantial savings over air,” said global forwarding president Mike Short.